I am on the road and do not have any of my glove books with me. 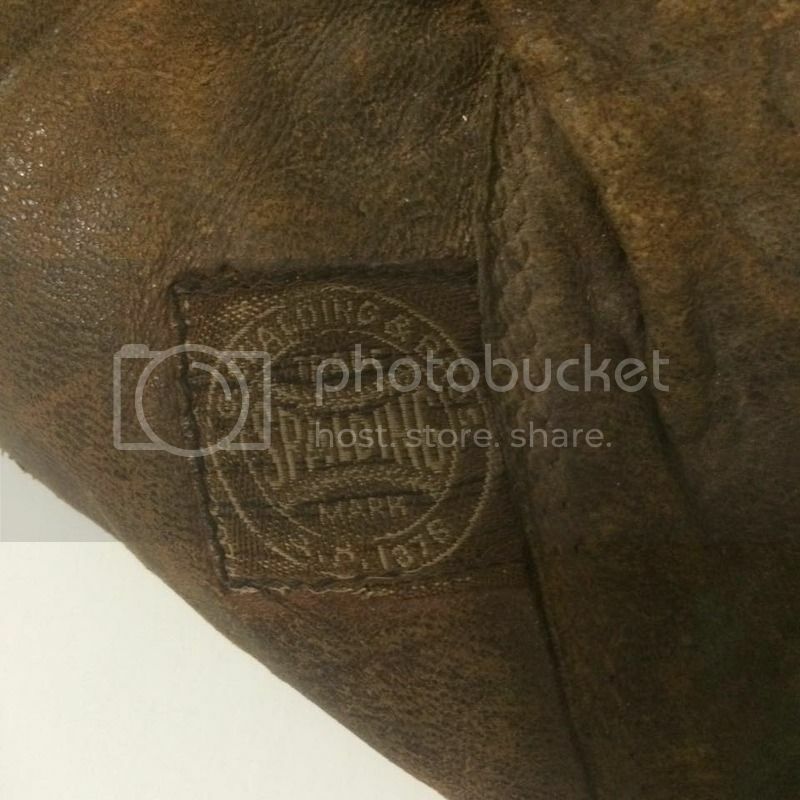 An online friend picked up this Spalding at an estate sale and I'm trying to help her identify it. Any info you can provide will be appreciated. 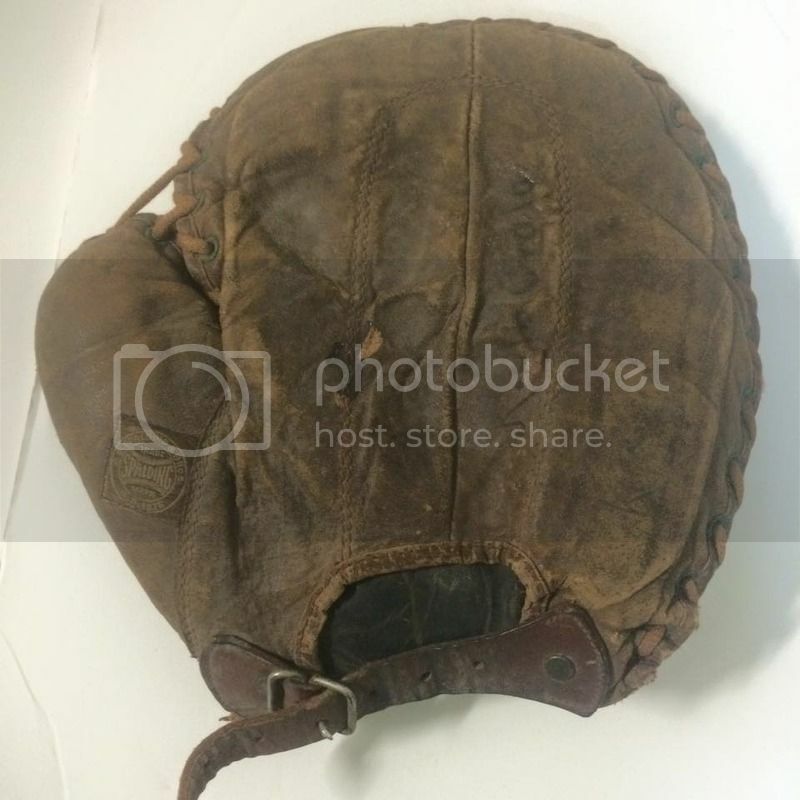 I think its a basemitt. Based on the tagging, I'd guess somewhere between 1905ish to 1910ish. Looks to be a midline to lower end model. 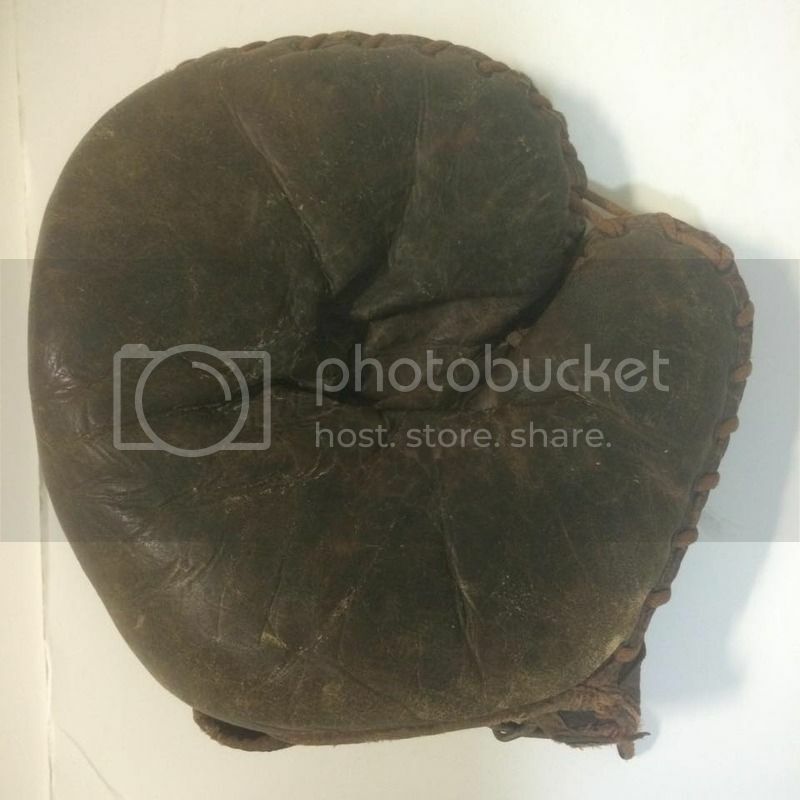 Some of the descriptions and model listings are based on color - can't tell from the pictures but maybe that will help you identify it more clearly when you have access to your materials.